You’ve finally made an appointment to see your Chiropractor. Perhaps it’s low back pain that brings you in, or bouts of throbbing headaches and you’re tired of popping pills. Or maybe you’re a runner who’s training for a big event and you’re hoping your Doctor can help you stay in tip-top shape to avoid injury. All of these are great reasons to see a Chiropractor, and some of the most common. At this point you may be wondering: What in the world do my feet have to do with anything? Or, Did I take a wrong turn and end up at the podiatrist’s office? As it turns out, feet have to do with a lot and there’s good reason for your Chiropractor to be interested in them. Chiropractors are trained to look at a patient’s entire body structure, and the foundation of that structure is the feet. Think of your body as a building. The way the building is put together is important, because it determines how it will hold up to stress and age. The foundation is especially important, because everything sits on top of it. When there are cracks in the walls or ceiling – in the analogy, that’s the low back pain or headaches that prompted you to call the Doctor in the first place – problems in the foundation may be to blame. Your feet may feel just fine, but that doesn’t mean they’re not causing trouble up above. 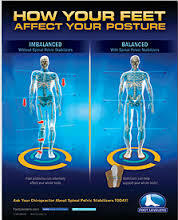 Foot imbalance or dysfunction can have ripple effects, transferring problems (and pain) to the legs, knees, hips, spine, shoulders, even skull. 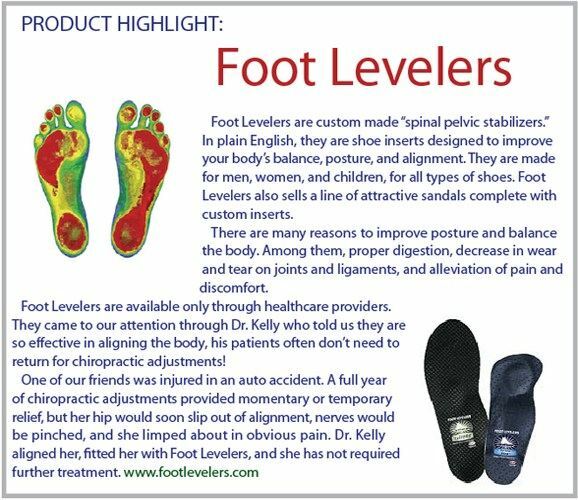 (The 3D foot scan helps your Doctor detect otherwise “silent” problems with the feet; so does examining the wear patterns on your shoes). We’ll talk more about foot imbalances in future posts, but in the meantime, when your Chiropractor asks to look at your feet, don’t hesitate. Good health starts from the ground up!